Choosing a lawyer for divorce is a significant undertaking. The practice of medicine and the practice of law are two of the three original professions dating back to medieval times (along with divinity). The professional ideals include a high degree of public trust, integrity and learning. It only makes sense that those hallmarks that should be sought in choosing an attorney, but how does one go about finding a lawyer who demonstrates those attributes? Most people picture the zealous “trial attorney” who is slick in word and deed and who is as formidable as he is unsettling, both to the opposing party and to you. That picture is a caricature and does not describe 95% of the attorneys in this world. The attorney who seems to fit that mold is also probably not the guy or gal you want. Lawyers who are contentious, aggressive and litigious may give you the sense that are “protecting your rights”; but the dollars and cents you will spend on that over zealous advocacy may take you back. On the other hand, no one wants milk toast for an advocate. A better barometer for a good attorney are the hallmarks of a professional: trust, integrity and knowledge. You might add experience and good communication as well, but they are not as important as the first three. Good communication is noteworthy, however, since the number one complaint of people about their lawyers is lack of communication. It does not matter how eloquent an attorney is in court if he or she does not communicate well with you. As for trust and integrity, they cannot be overstated. If you talk to a lawyer who is willing to fudge the facts to make you look good, run the other way! She cannot be trusted. If she is willing to be less than honest for you, she is also going to be less than honest with you. No one has been well served by a doctor who is not honest or candid about a serious condition. In the same way, attorneys who are not honest and candid with their clients are not being helpful. Beyond that, judges know which attorneys are credible and which are not. Nothing impedes an attorney’s effectiveness in court like a reputation for dishonesty or questionable integrity. It may be tempting to want the attorney to cover up and lie for you, but that is as unethical for the attorney as it is unwise for you. Truth has a way of being exposed in the litigation process. Nothing will hurt your position like a lack of credibility. That is not to say that people have never lied and gotten away with it; but no attorney worth his salt sacrifices the trust and integrity that must be developed with the judges to advance a single case. 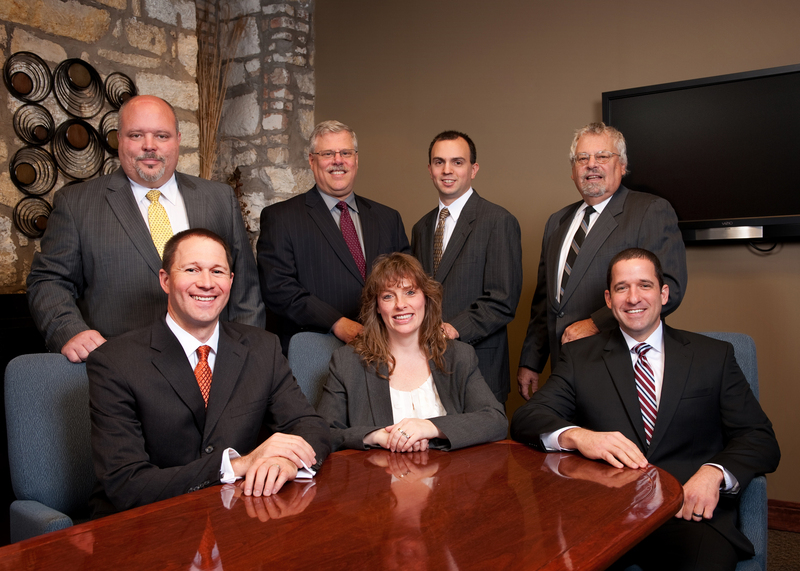 In choosing an attorney, seek someone who someone who is knowledgeable and experienced. Attorneys must always be learning, always staying on top of the latest developments and changes in the law. 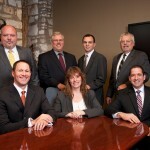 Good attorneys are dedicated to effort of keeping up with the law, and are always striving to hone their legal skills. that knowledge and those skills may be difficult for a non-attorney to assess, but evidence can be found, for example, in various places. Are they publishing written materials, speaking at CLE (continuing legal education) seminars for other attorneys or non-attorneys? Are they involved in their local bar associations? What do other people say about them? Getting to the meat of choosing a lawyer, ask friends and family for a referral. Get some feedback. Listen to why people recommend (or do not recommend) particular attorneys. Reputation is probably the best measure of the value of an attorney, though be careful of attorneys who are living off of past accolades. Sometimes attorneys, like doctors, get jaded. They lose the sense of imminent importance that each matter has to each client. You want an attorney who will take the time to listen to you and give your matter the attention it requires, no matter how busy they may be. Be aware that sometimes a single point of reference may not be a good measure, however. Go online and see what others are saying about the lawyers you know about or who have been recommended to you. Read through their bios and see how they answer questions online at sites like AVVO. There are many resources for finding attorneys online. Use them and compare. Not all online rating systems are the same. Only one rating system has stood the test of time and provides an unsolicited rating of attorneys by other attorneys and clients – Martindale-Hubbel. Most licensed attorneys are listed and can be found on the Martindale-Hubbel website. Other rating and ranking systems tend to be more based on the completeness of the lawyer’s profile on the website than a neutral, third party assessment. Still looking at what clients and other attorneys say on LinkedIn and other places where testimonials can be found may be helpful. Many attorneys give a “free consultation.” Do not expect to walk away with free legal advice, but use the time to determine whether the attorney is a good fit. You should feel comfortable with the attorney you choose. If you see red flags or have a bad feeling, listen to your gut. There is probably a good reason you feel that way. I am hear to say that no attorney is a good fit 100% of the time for all people. You need to have good communication and good interaction with your attorney, especially if your need for an attorney is a matter of significance. Is the attorney personable? Does the attorney listen carefully? Is she attentive you? Is he candid and forthright? All of these things matter. You want an attorney who communicates well, is diligent and thoughtful, is conscientious and responsive to your desires and goals, who can educate you on the law in plain English, advise you on options that are available to and who will keep you updated on your matter as time goes on. Finally, do not let the cost, alone, sway your decision. The adage that “you get what you pay for” applies to attorneys as it does to other things. Find out what kind of service you can expect. Many attorneys who charge lower fees than other attorneys push more of the work on to their legal staff and will pay less attention to your matter. They may also have less experience or not have a good reputation. Maybe they are new to the area and are not yet well known. There are reasons why they are charging less, and you will want to assess the reason why. Maybe the lower fee will be a real bargain, but more likely it will not. There is no substitute for “doing you due diligence” as we attorneys like to say. Do your homework. Know who you are hiring as best as you can before you commit. There is no blueprint on how to hire an attorney, but there are many things you can do to help you make a good decision. In the end, you need an attorney who you can trust, who will be diligent on your behalf and do a good job for you, and most of the attorneys who do that are known by their reputations. 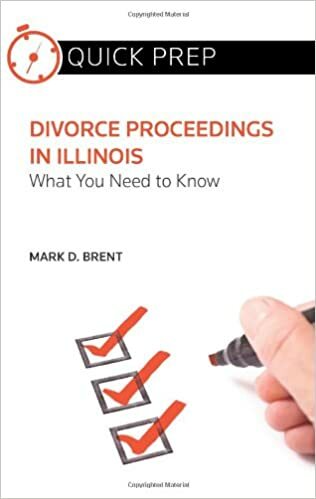 These are some great tips, and I appreciate your advice to ask friends or family for referrals when looking for a divorce attorney. My husband and I are going to be separating, and I need to find a good lawyer to guide me through the legal side of things. One of my sisters recently went through a divorce, so I’ll definitely ask her if she has any lawyer recommendations for me. Thanks for the great post! You wrote that you should get recommendaitons from family and friends, and listen to why they would recommend that attorney. If there was a certain quality that they enjoyed, perhaps that would be a great match for you personality wise. I’ll have to keep this in mind, especially if I ever need the use of a family lawyer. Thanks for the great read. Thanks for the information about choosing a divorce attorney. My best friend is going through a pretty bad divorce, and he wants to find a lawyer to help him with custody of his children. I like that you mentioned to look for a lawyer who is above all else trustworthy. I would only ever want to work with somebody with trust and integrity, so I will definitely pass this on to him. I like how you mentioned that good communication is important when it comes to choosing a divorce attorney. My wife and I are going to be separating, and I want to make sure I have a good lawyer to represent me. I was focusing more on knowledge and experience, but maybe I should put more weight on good communication as well. I appreciate your walking about the importance of choosing a family attorney that is experienced. It makes sense that taking the time to do your research can help you find someone that has worked cases like yours before and can provide useful information. Personally, I would want to consult with the BBB and assess my situation before I start looking for the best lawyer to help with my divorce. Probably the best place to compare lawyers is Lawyers.com which employs a rating system based on clients’ and other lawyers’ assessments. You can also Look for client reviews online, read through the biographies on the attorneys’ websites and find someone who has had experience with the attorneys you are considering. I’d heard in the past that family law attorneys could really help you get through a tough divorce. You wrote that when you are choosing an attorney, you should look for one that is dedicating to always learning, and trying to stay up top on the new law. This would definitely benefit someone a lot, as the new law could benefit them in their case, and possibly help them get the best possible outcome in the case. This is some really good information about choosing a divorce lawyer. My best friend is thinking about getting a divorce and she wants to make sure that the process goes smoothly. So, I liked that you pointed out that she should have a good understanding of what the base fees are for the lawyer. It might be a good idea to see if there are any other fees that might be attached to that lawyer. You have shared really useful information. Also when you are finding a divorce lawyer your need to ask your relatives and friends. They will definitely suggest you the best divorce lawyer. We agree, and you can add to that list good neighbors, friends and reputable business people you know. Good attorneys usually have good reputations, and come with good recommendations. My cousin and his wife are getting a divorce, so he is wondering how to find the best lawyer to help him. So I appreciate your advice to find an attorney who has experience, trust, integrity, good communication, and knowledge. I will be sure to tell my cousin to start his search for a divorce lawyer by looking for those with great experience and knowledge. All of those qualities are important. You are focused on the right things. I would suggest, too, that there should be a good personal connection. Trust your gut. The best place to look today is online. Don’t just go with the top names that come up in a Google search. These people pay the most for advertising and have a good marketing strategy, but that doesn’t make them the best attorneys. Dig a little deeper. One good tool is lawyers.com. The ratings there are based on client and peer reviews that are not controlled by the attorneys. But that isn’t enough. Go to the websites. Get a feel for who they are. Look past the polish and get under the hood. What are the really like. What other online review are there? Call and get a feel for what the office environment is like. Are the staff friendly? Do they seem competent? Spend some time communicating with the attorney if you can. If they offer a half hour free consultation, set one up. Don’t expect to get legal advice for free; you are kicking the tires to be sure this attorney is a good fit. If the attorney will talk to you on the phone or by email, that is next best thing. 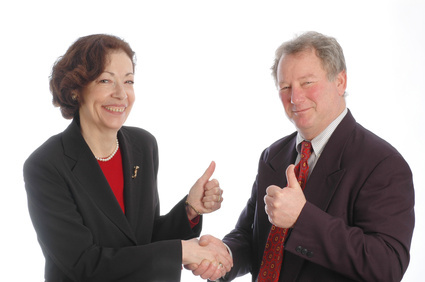 The attorney client relationship is a personal, trust relationship. You can look for a hired gun, but you won’t get anything more than that. A good attorney is an adviser and counselor. Especially if you are going through a divorce, that is what you want. My cousin is thinking about getting a divorce this year. I liked what you said about how she should think about looking for a lawyer who has great communication skills. I know that my cousin wouldn’t want to wait to hear back from the lawyer for days on end. If you know from the start that you’re headed for a divorce trial, you want an attorney who has considerable courtroom experience. Not all lawyers do. My daughter is looking for a quality family lawyer to help her handle her divorce in the quickest and smoothest way possible for her and her children, so I am glad that I found this article.